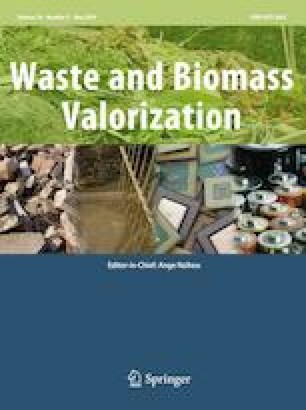 The aim of this work is focused on the valorization of category two rendering pig fats, to evaluate their use as source of biodiesel by hydrodynamic cavitation reactors. The optimum reaction conditions have been previously determined in laboratory, obtaining as optimum values 60 °C, 1 wt% of sodium hydroxide, fat to methanol molar ratio of 1:6. The design of the cavitation reactor orifice plates has been carried out taking into account these optimum conditions. The design is based on the cavitation number as a function of the degree of advancement of reaction, which ensures that cavitation occurs through the entire reaction time. Then, the cavitation reactor was used in a pilot plant to study different configurations of orifice plates. The results obtained indicate that it is more efficient to use cavitation reactors with consecutive orifice plates (9.05 g/kJ) instead of traditional stirring reactor (3.75 g/kJ) or single orifice plate reactors (6.7 g/kJ). This reactor also allows reaching higher FAME content (90%) compared to a stirring reactor (85%). It also allows reducing the residence time up to 5 min from 22 min of a stirring reactor or from 10 min of a single orifice plate reactor. The authors gratefully acknowledge support of this work by the LIFE Program under the responsibility of the Directorate General for the Environment of the European Commission (Project LIFE 13 ENV/ES/001115-LIFE VALPORC).